Visitors were welcomed with a quilt hanging in the library’s foyer designed and assembled by the Elkhorn Women’s Club. 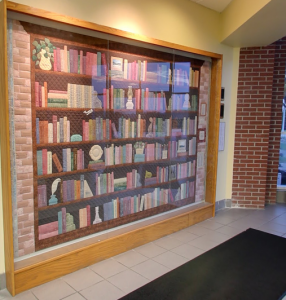 “Quilted Library” features a bookcase full of books and artifacts and acknowledges library supporters. 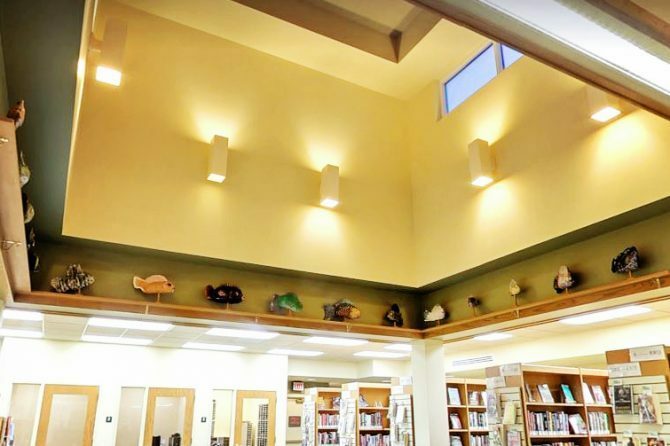 The community heirloom serves as a symbol of Elkhorn residents’ resolve to build and maintain a community-based library system.